Sunday, 24 December 2017 had the atmosphere of Christmas in the camp of the Nigerian army. 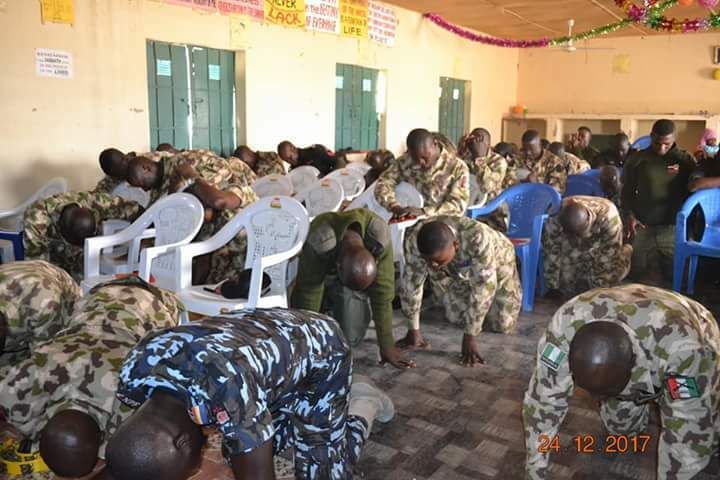 It became an avenue for the gallant soldier to worship, praise, thank God for how thus far he has been protecting them and also for more of his protection. 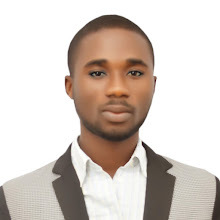 The Birth of Jesus Christ brought a great memory of how God loved the world when he sent his only begotten son. 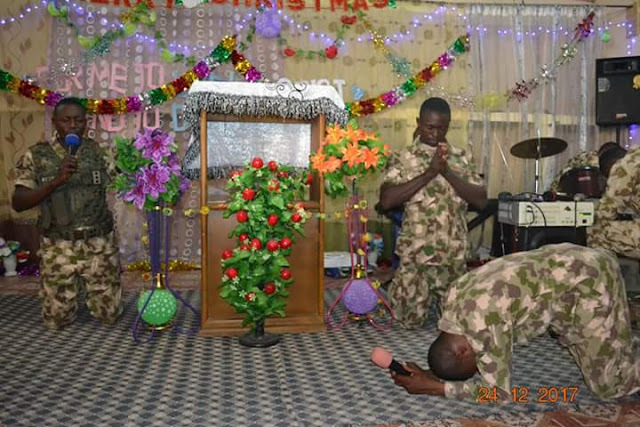 Christian armies were not left out in the celebration.